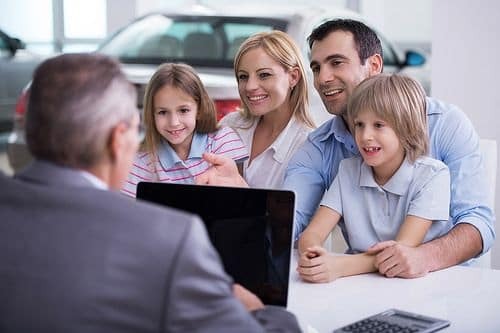 At Mazda of Bedford, we firmly believe that every driver should have the opportunity to own a reliable, affordable vehicle. That’s why we participate in the Mazda Certified Pre-Owned (CPO) program. In order for a vehicle to qualify for the program, it must undergo a battery of tests, including a 160-point inspection. Once a vehicle is admitted to the Mazda CPO program, it comes backed by a long list of benefits and manufacturer-backed warranties. All Mazda CPO vehicles are covered by any remaining portion of the three-year/36,000-mile new vehicle warranty. Once that expires, the CPO Limited Warranty kicks in to offer one year or 12,000 miles of additional coverage. Engines can be expensive to fix, but there’s no bill with the Mazda CPO Limited Powertrain Warranty. The seven-year/100,000-mile warranty covers every engine component, from freeze plugs to constant velocity joints. Each Mazda CPO vehicle must pass a battery of tests in order to make it into the CPO program. Even so, things sometimes break. Fortunately, all Mazda CPO vehicles feature a zero deductible on covered repairs when the repair is performed at a certified Mazda dealership. In order to give customers the best experience possible, each Mazda CPO vehicle features 24-hour emergency roadside assistance. This complimentary program is active for the duration of the seven-year/100,000-mile powertrain warranty. Mazda’s 24-hour emergency roadside assistance services include jump starts, lockout assistance, gas delivery, towing to a Mazda dealership, and flat tire changes. All candidates for the Mazda CPO program are required to pass a 160-point inspection performed by a factory-trained Mazda technician. This rigorous test is designed to reveal even the smallest problems in any Mazda vehicle. All problems must be fixed, and the car must be restored to like-new condition before it can officially become a Mazda CPO vehicle. Peace of mind is a standard feature in every Mazda CPO model, but the lengthy warranties might not be enough for some drivers. Fortunately, Mazda CPO vehicles come with available extended coverage plans. The Mazda Prepaid Maintenance and Extended Confidence plans come in a variety of term and mileage intervals to suit the needs of every driver. This available extended coverage is the only Mazda-branded vehicle service contract and is accepted at all Mazda dealerships in the United States. All repairs are made with genuine Mazda parts. Also, 24-hour emergency roadside assistance is included with every plan. 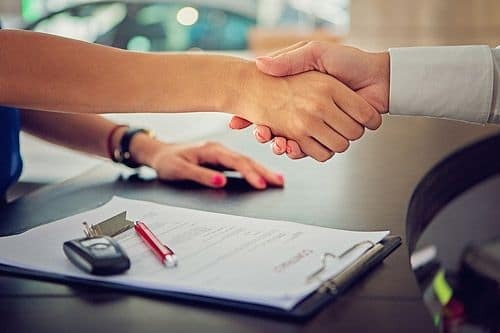 Knowledge is power, especially when it comes to buying a Certified Pre-Owned vehicle. That’s exactly what buyers get when they inquire about a Mazda CPO model at Mazda of Bedford. Each vehicle comes with a full AutoCheck® vehicle history report. In this report, drivers will find a comprehensive report of all service, repairs and replacement parts. Each report also includes three years of Buyback Protection from Experian. No one likes to part with a favorite vehicle, but in some cases, lifestyle changes require just that. Fortunately, Mazda CPO vehicles retain more of their value over time. Thanks to the transferable vehicle and powertrain warranties, Mazda CPO owners can get more money for their vehicles. Not only will that coverage help command a higher price, but it will also attract buyers whose top priority is a reliable vehicle. Mazda CPO drivers can enjoy a trial subscription to the SiriusXM® All Access package. The three-month trial subscription provides drivers with access to commercial-free music, sports, comedy, and much more. With more than 150 channels to choose from, this package can change family road trips for the better. Drivers will also have the ability to stream SiriusXM online and with the free smartphone app.